I think this will easily be the warmest spring nationally. The map you posted for this spring is in Kelvin (or degrees Celsius)! The map for 1910 is in degrees Fahrenheit. 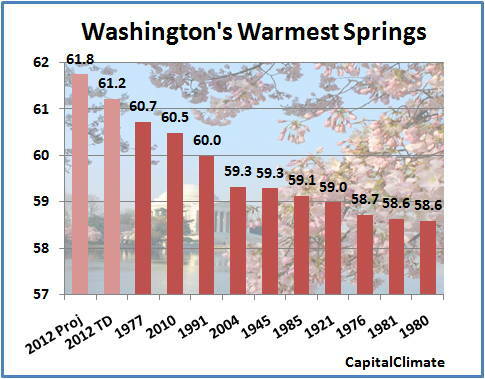 March beat out 1910 for warmest on record. 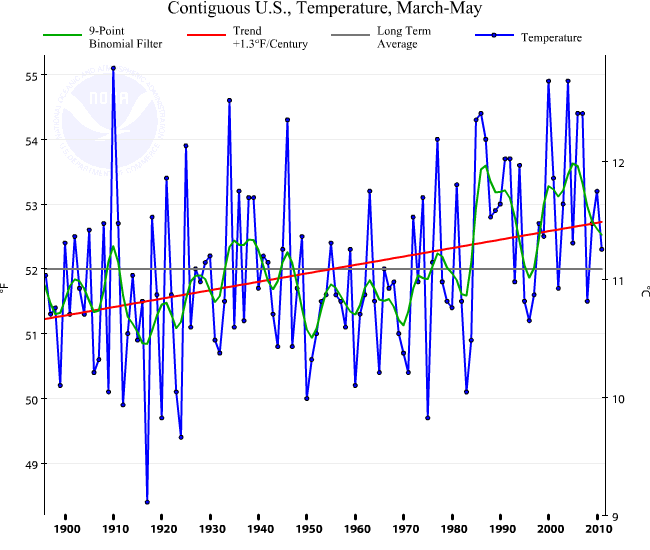 April was third warmest on record, behind only 2006 and 1981. April 1910 is the 11th warmest on record. 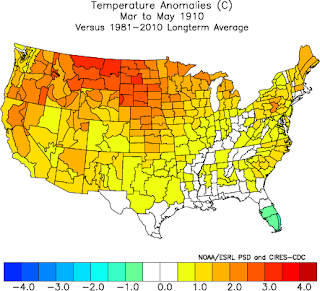 May has also been much above normal, and should easily be one of the warmest on record. By contrast, May 1910 was cooler than normal with a mean temp. of 60.0F. 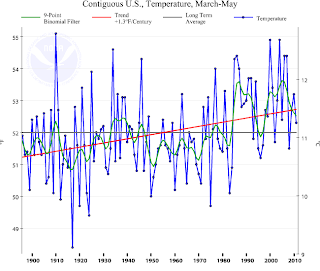 For March through April 2012, the mean U.S. temp was 53.45F. For March through April 1910, the mean U.S. temp was 52.65F. The final three-month total for 1910 was 55.1F. As mentioned above, May 1910 was actually cooler than normal. This May, on the other hand, has been WAY above normal for the nation as a whole. 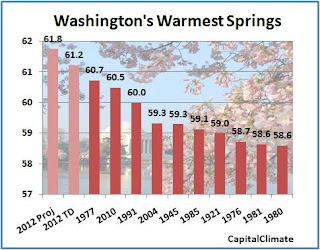 Considering, it already has a 0.8F lead over 1910, this spring should shatter the record for warmest spring. Thanks for catching this. It means that the record is not even close; it's being crushed. See the update.